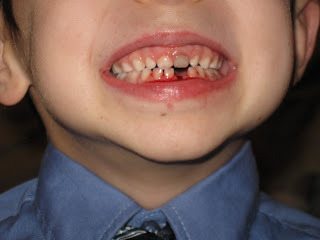 James lost his first tooth! The first tooth has finally been lost! It has been loose for a month and last night it was really loose. I told James just to reach in and pull it out. And that is exactly what he did! 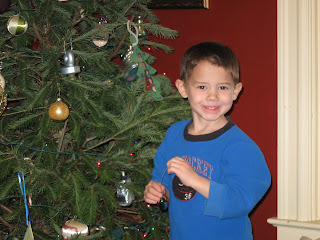 He lost his first tooth on Christmas. What a memory! 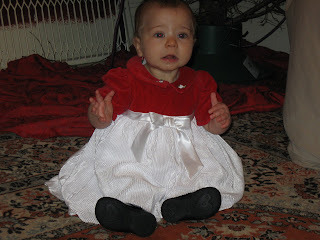 Margaret wasn't too sure about the Christmas dress. 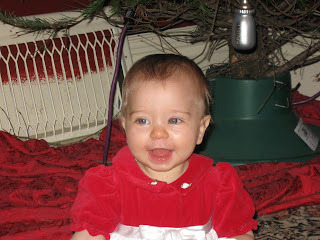 And she really didn't like the Christmas pictures that we took when everyone was finally dressed. 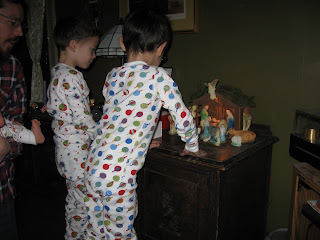 We awoke to find Jesus in the manger. He was very comfortable from all the straw the boys have earned in the last couple weeks. 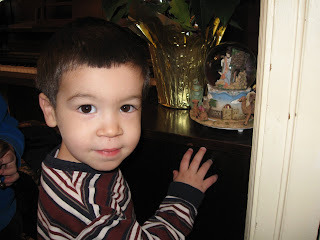 We said our Christmas morning prayer and sang Christmas songs for the baby Jesus. 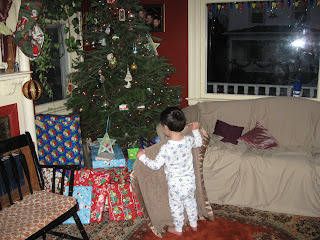 Henry's first words were, "Look at all the presents! And they are all mine!" And yes, it is indeed still dark outside. Well, a new type of toy has arrived in the house. 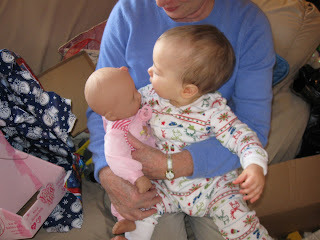 I was hoping Margaret would just sort of adapt to playing with trains and trucks and legos, but I can see that isn't going to happen. 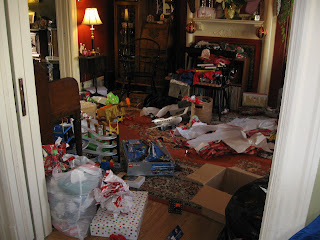 Here is the aftermath of the living room. I had to pick up about half the paper in order to be able to find the camera. 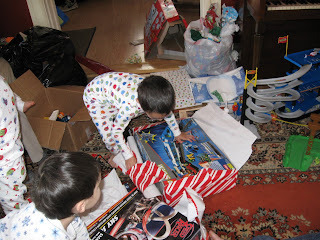 Every child loves to open very large boxes. 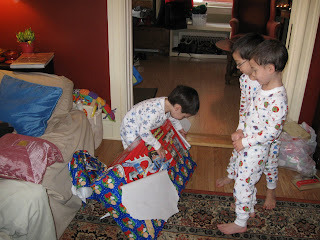 Especialy as the first gift Christmas morning. It was a toy any boy would love. A parking garage with ramps and cars and sounds and lights and even a microphone. It had to be assembled right away! All the boys (and even the girl) LOVE it. 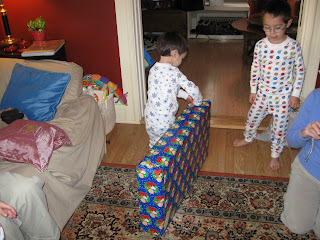 And it was perhaps the most frustrating thing to put together. Tons of pieces, all lettered and numbered. 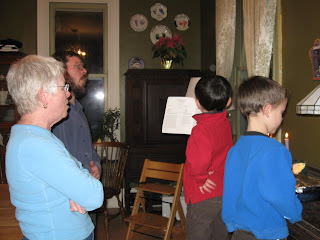 Then, one sheet, with one picture of the completed set-up. Little arrows pointed to each piece with the letter and number above the arrows. But Henry doesn't remember any of that. He just knows he likes it. 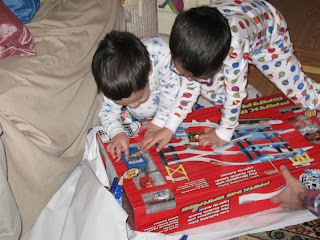 By far the most popular present for the oldest boy was a 9 Volt Lego train set. Very hard to find, since Lego doesn't make these anymore. 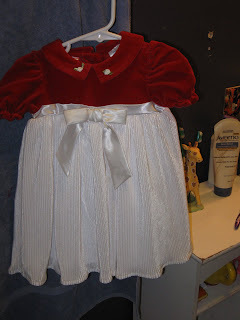 But patience, and ebay, helped greatly. 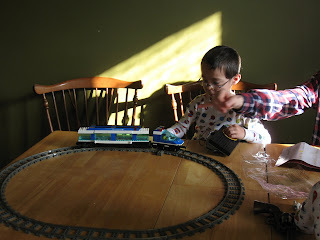 This train has already logged several hours in various locations throughout the house. 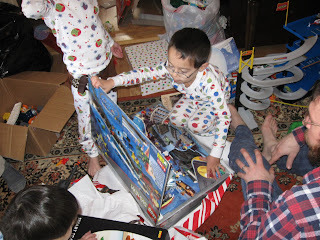 Thank you to Great Grandma Phyllis for allowing the purchase of such a great Lego set. 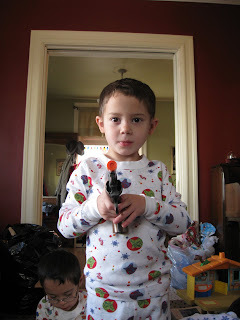 Three boys and this is our first official set of guns. They are cap guns, but no caps were given (thank goodness!). 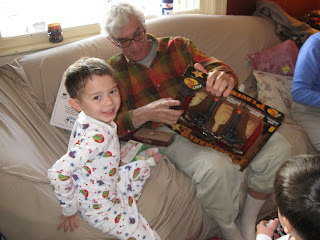 We will leave the gift of "real" guns to Grandpa Bob after the boys reach double digits. 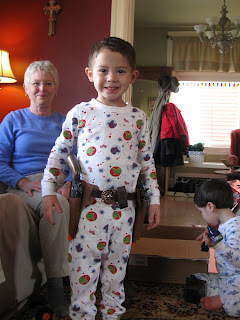 Guns made this one happy little boy this Christmas morning! 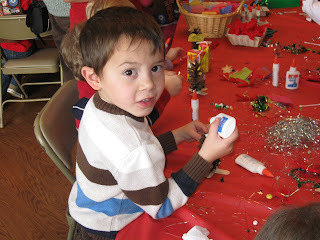 and Christmas trees to decorate with handmade and store-bought ornaments. 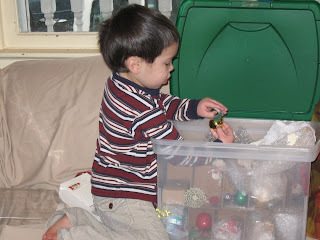 Choosing the perfect ornament each time was very important. 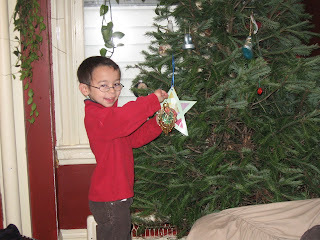 As was finding the perfect spot to hang the ornament. 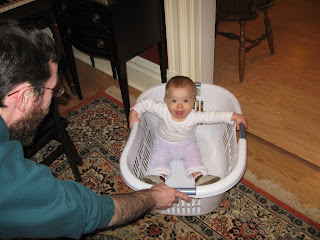 There were laundry basket rides for cranky babies. 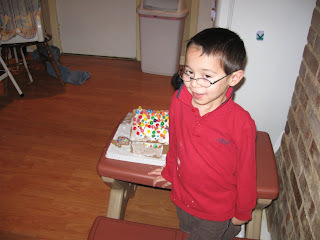 And gingerbread houses to decorate (and sneak licks off of). 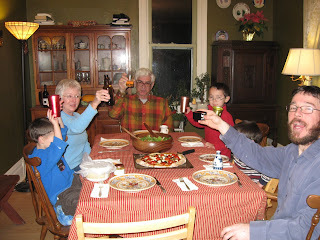 Our Christmas Eve dinner is always a special time. 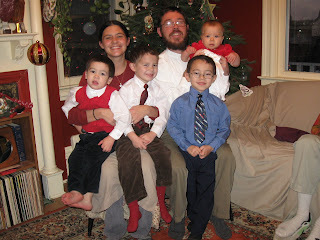 Here's to the coming birth of Christ! 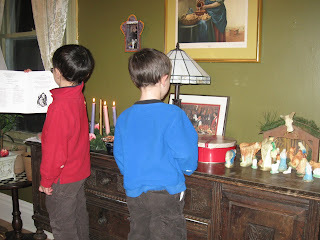 We sang our last night of Advent songs and put the rest of the animals at the manger. 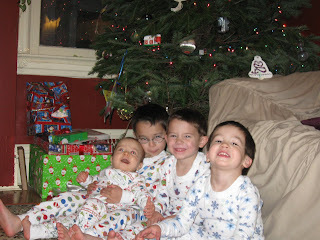 The boys opened up the traditional gift of the Christmas jammies. 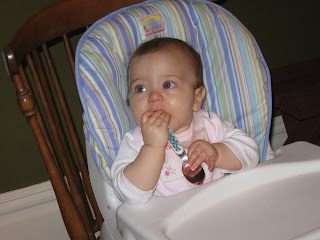 Margaret mostly tasted and slapped her present. 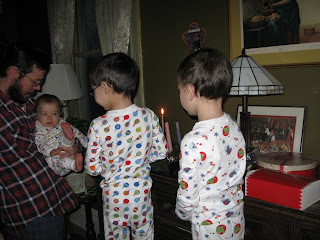 Then we had the traditonal photos of the kids in their Christmas jammies. 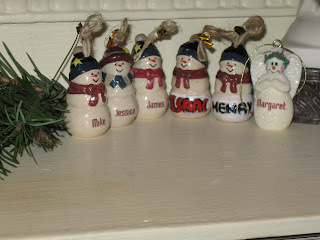 Here are the Christmas snowmen/angel. 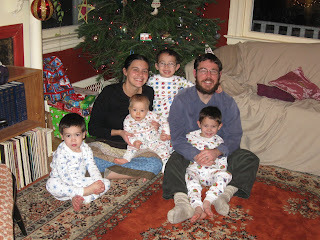 We had to get some photos in front of the Christmas tree with the kids in those adorable new jammies! Here is our crew ready to celebrate! Now, if I could only get them to bed. 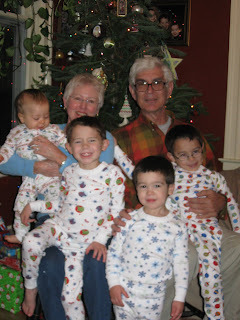 Mike and I are sneaking away to our 9pm midnight Liturgy, and the boys have all gotten back up after being put to bed. 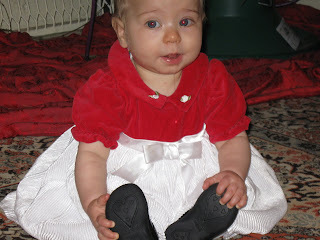 It was five years ago today that this amazing person entered my life. 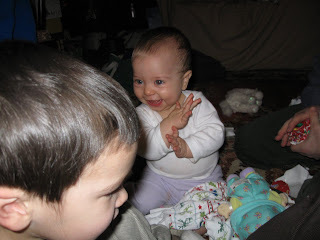 I can't believe how quickly five years has gone by! 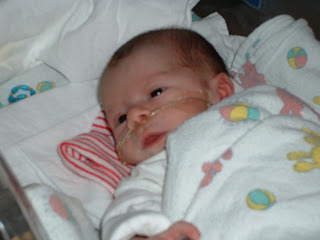 Here is Isaac at five days old. 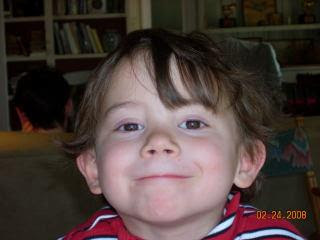 Happy 5th Birthday Isaac! We love you so much! It's a pretty rainy day here, so the boys have been reading and drawing all day. Here are some of the many drawings they produced today. 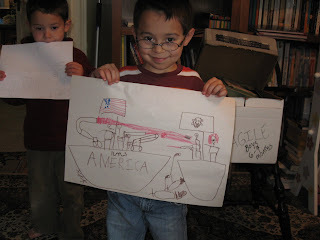 James drew a picture of pirates attacking an American ship. The American's are blowing the pirates away with a fire-filled canon. 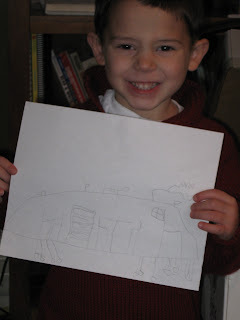 Isaac drew an army truck with a table and chair inside and a gun on the top that shoots fire. 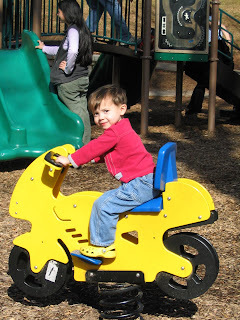 It has lots of wheels because it is so big. 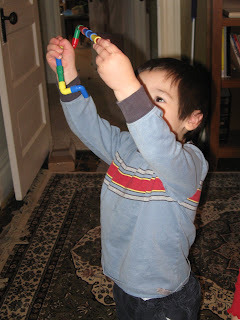 Henry wanted me to take this photo of him holding his missel launcher that he built with pipe builders. 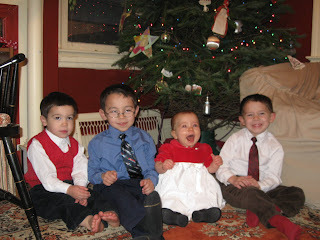 So Michael took the older boys to the Boy Scout Christmas Party, and Henry and I stayed home reading books. He LOVES Richard Scary books and so we were reading this Richard Scary book and we came to the mealtime page. I said to Henry, "Wow, look at all this food. What would you like to eat at this meal?" 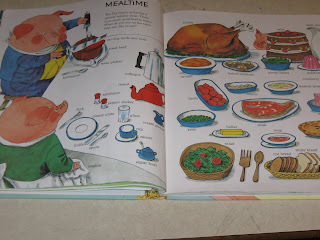 Without hesitation, Henry pointed to the pig carving the meat and said, "This pig would be good to eat!" Isaac is learning to spell! Okay, who forgot the disco ball?